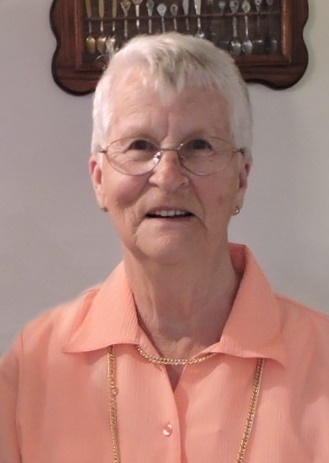 It is with heartfelt sadness that we announce the passing of Beatrice Nagel at the age of 81 years at the Ponoka Hospital and Care Centre on April 11, 2019. Bea was born May 26, 1937 to Dorit (Babe) and Anders Bengtson in a log house on the family farm in the Richmond District - Springdale area, County of Wetaskiwin. Bea is survived by her loving husband Ron; her sons Bernie, Lorne (Debbie), Andy (Barb), Barry and Darren; granddaughters Whitney (Ian) Hollingsworth, Veronica Nagel and Sarah Nagel; great-grandchildren Aidan and Anika Hollingsworth; her siblings Ruby (Jack) Gist, Perle Holmes and Bruce Bengtson; Ron’s siblings Kay (Ken) Scott, Ann (Maynard) Monroe and Bert (Julie) Nagel; as well as many nieces, nephews, cousins and dear friends. Memorial donations are gratefully accepted to the Ponoka and District Health Foundation or any charity of your choice.